Minimum wages vary drastically throughout the world and even between different states in the US. 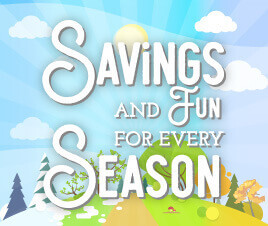 The minimum levels are usually based local costs of living and general governmental policy. Recent amendments in some US cities will make their minimum wages some of the highest in the world. For instance, in the next few years the minimum wage in San Francisco, Los Angeles, Seattle and for New York fast food workers will rise to $15.00 to keep up with rising living costs in those cities. *1[i] The highest minimum wages in the world, by comparison, are $15.58 in Australia, $14.75 in Luxembourg and $12.83 in France. Conversely, there are six European Union member states – Austria, Denmark, Cyprus, Italy, Finland and Sweden – that have no statutory minimum wage*1. However, in some of these countries (and across Scandinavia) wages are set through collective agreement between employers and trade unions, i.e. the latter will reach consensus on what fair salaries for their industry might look like, and these are used as a basis of negotiation with employers. Median salaries are also generally higher in these countries than in the rest of Europe, with Norway’s per-capita income recorded as $19,308 by a 2013 Gallup study*2[ii], compared to Germany’s $14,098 and the U.S.’s $15,480. A number of U.S. states – Alabama, Louisiana, Mississippi, New Hampshire, South Carolina and Tennessee – also nominally have no minimum wage. However, it should be noted that for employment covered by the 2009 Fair Labor Standards Act (FLSA)[iii] in those states with no minimum wage, or in states like Georgia and Wyoming where state minimum wages are below $7.25 an hour, workers can expect to receive at least the federal minimum wage. But according to Pew Research, around 20.6 million people in the US (or 30% of all hourly, non-self-employed workers 18 and older) are “near-minimum-wage” workers, and in 2013 3 million workers had wages at or below the current federal wage level (Bureau of Labor Statistics)[iv]. These realities along with rising living costs in major cities around the world have driven the rising momentum of living wage movements – pushing for new legislation that will ensure employers pay their workers enough to ensure a good standard of living. 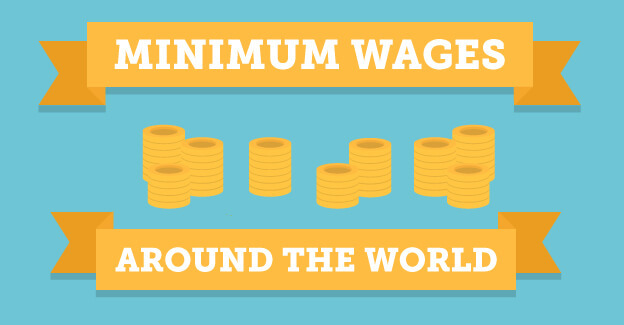 To see how minimum wages differ throughout the world, make sure to read our infographic below.